Buena Vista party is upon us – put this date in your diary Saturday 6th April! 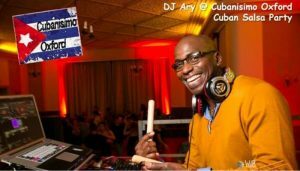 We have our very own DJ Ary with his selection of Cuban salsa and Latin music. 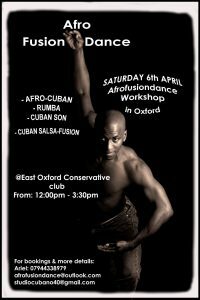 There’ll be lots of animations, rueda and more… We start with an hour fun salsa class for all levels including beginners. Please bring your friends and family all styles are welcome. All dayer this Saturday 2nd of March. Workshop from 12 to 3:30 followed by Buena Vista party with live band Ran Kan Kan and Dj Ary. Not to be missed !